The Safco Multi-Purpose Stand is a simple but functional piece of furniture for a variety of uses. 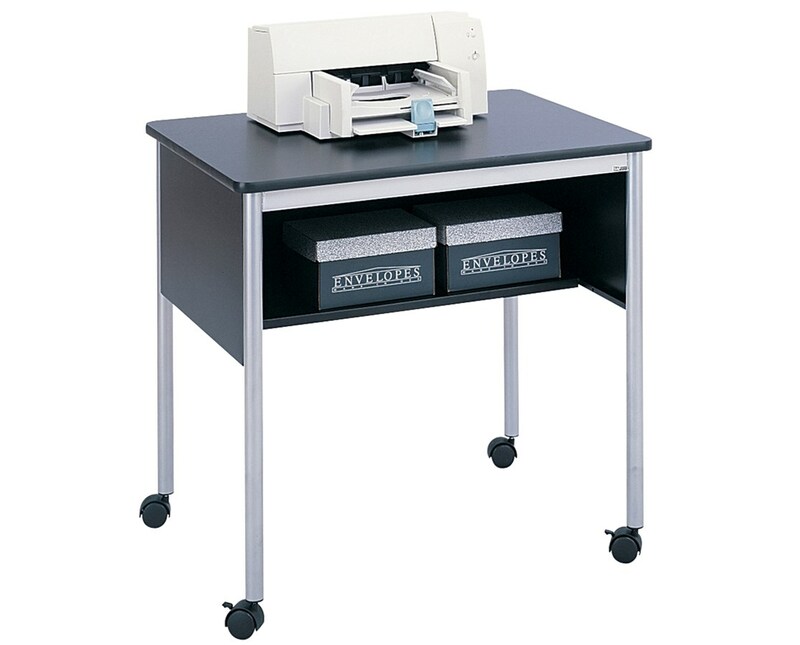 It features an over-sized, open design best used for printer/copier storage but can easily be used as a work surface elsewhere when needed. It is tough enough to be able to hold up to 200 pounds of weight. It has an open storage shelf that is surrounded on three sides by modesty panels. 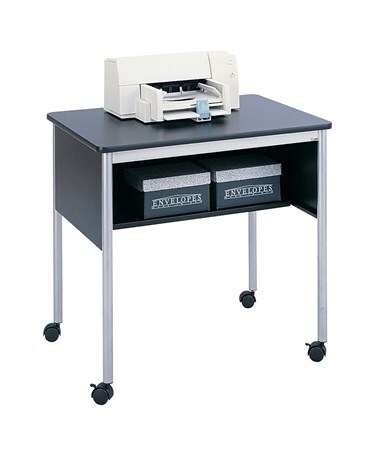 This multiuse stand also has four dual wheel casters for easy mobility and two of these casters can be locked if desired. The stand’s top is made of ¾-inch black laminated wood, while its frame and legs are made of steel with metallic gray finish.